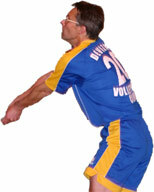 Welcome to the Devizes Volleyball Clubs Website. The site is designed to inform you of the club, that is based in Wiltshire, and to make you want to play volleyball for us or another local club in your area. The site demonstrates that we can really have fun, as well as competing seriously in competitions. To see what the club gets up to have a look at the photos page which is always popular. For details on how to join Devizes Volleyball Club or to find out more information you might want to check out our Squad Page. 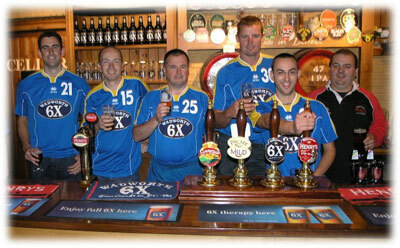 The Club would like to thank Wadworth Brewery of Devizes for their continued sponsorship this season. Strictly for members only....Type the password in to the text box and you can view Devizes Volleyball Clubs restricted area!! !